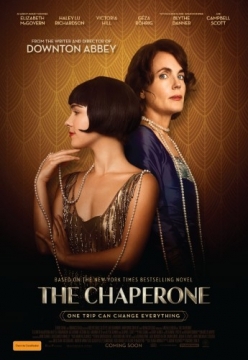 From the writer and director of Downton Abbey, comes The Chaperone. Based on a bestselling novel of the same name, The Chaperone takes place against the backdrop of the tumultuous times of the early 1920s. A Kansas woman (Elizabeth McGovern, Downton Abbey) is forever changed when she chaperones a beautiful and talented 15-year-old dancer (Haley Lu Richardson, Split) named Louise Brooks to New York for the summer. One of them is eager to fulfil her destiny of dance and movie stardom; the other is on a mission to unearth the mysteries of her past.